Looking for something relaxing, creative and fun to do this fall without the kids. The adult classes at the Clay Art Center taught by award winning ceramic artists is a great way to unwind with friends. 15 classes offered at differing times to fit your schedule start September 7th. 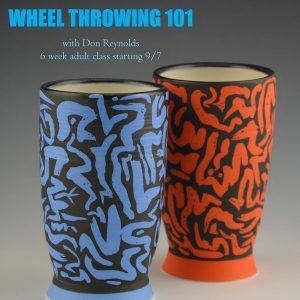 Register at http://www.clayartcenter.org/Adult_Classes_s/171.htm.